This sampler is from the Group Dynamics module in my book Smile Inside: Experiential Activities for Self-Awareness Ages 14-15. 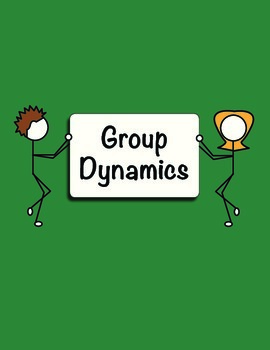 Just facilitating these three activities over a two-hour period is a very effective way to improve dynamics, especially right before group projects. Xs and Os and Obey the Crown humorously expose the barriers that prevent group cohesiveness, such as competitive attitudes and blocking behaviors. 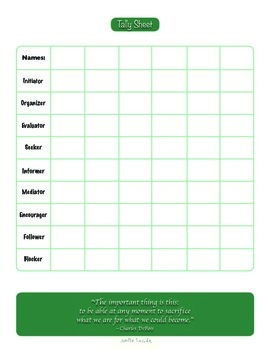 Observe and Tally examines the roles individuals tend to play in groups. 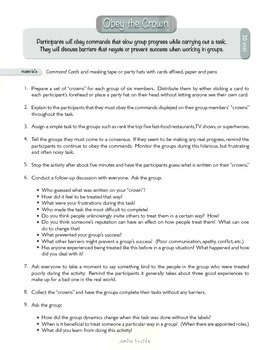 These are great activities for Student Council and Leadership Training!